comScore has ranked Teads at the top of its Video Ad Ecosystem report for 12 months in a row. Today, Teads reaches over 1.2 billion unique viewers globally. Teads continues to reinvent video advertising with its innovative outstream solutions. 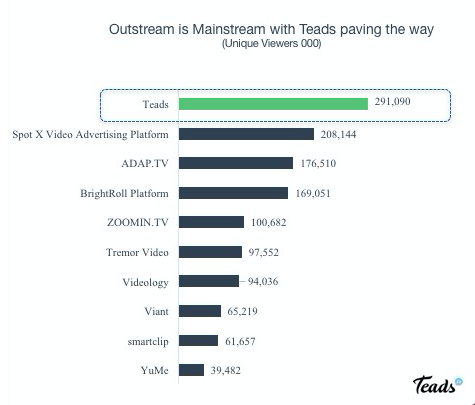 For the past year, Teads has remained on top of comScore's Video Ad Ecosystem report placing the company ahead of the industry's largest players such as SpotX, ADAP.TV, BrightRoll and YuMe. Scaling the video advertising business like never before, outstream video is creating an engaging and positive user experience for over 290 million unique viewers (desktop only). But that's not all, according to Teads' internal data, the company’s total reach is even bigger at 1.2 billion unique users, including 720 million on smartphones. This number is only expected to rise. This year, Teads will emphasize new interactive features through the recently formed Teads Studio to bring unprecedented personalization to video advertising. No matter what your branding or engagement KPIs are, Teads' award-winning advertising solutions can be bought and optimized through different placements, creatives, and devices. Built for viewability and efficiency, your advertising will only start when it is in view on the user's screen and is fully tracked through our third party vertification partners. And what's more, your advertising will be placed within the heart of premium editorial content through our partnerships with the world's leading publishers. Click here to learn more. 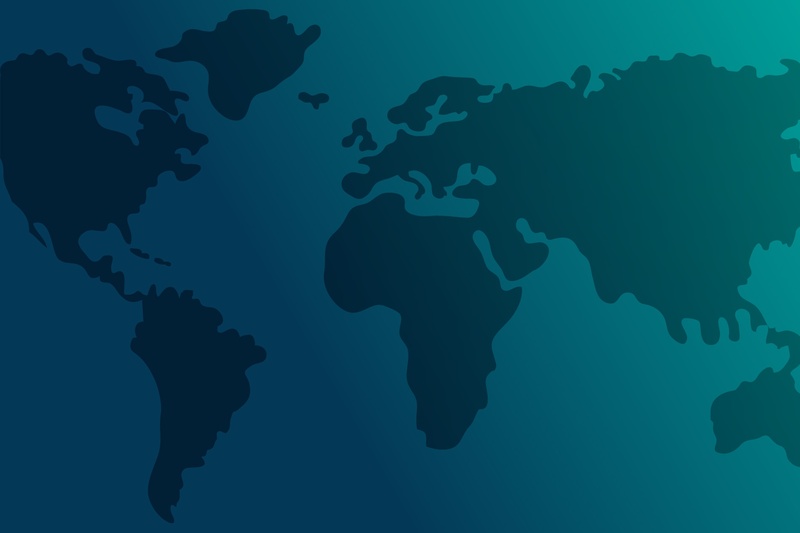 Join the most premium publishers in the world leveraging Teads' outstream solutions. With access to the world's leading brands and advertisers, there are no limits on generating new revenue. By placing video advertising in the heart of your editorial content, we open up unprecedented levels of inventory that had never previously existed. Click here to learn more. The power is in your hands. Teads' places contextually relevant video advertising within premium content but allows you the choice to watch or skip the ad. And in order to create the most enjoyable advertising experience for you, the ad only begins to play when in view, sound is off and you can continue to scroll past.